Really looking at these paintings is so rewarding, Lydia! I am glad they have challenged you. Let’s meet at the Prado! Merry Christmas! It is a tribute to Fra Angelico that he could inspire even the likes of Picasso and other cubists to look again at Jesus’ annunciation. And it is a tribute to you, Kirby, to have invited us to do the same. Thank you, and MERRY CHRISTMAS. A classic is a classic, isn’t it David?! Merry Christmas to you in Santa Fe!! Thank you, Kirby. This is terrific! It would be a good assignment—- everyone has an opinion on that moment. Thanks for the art history peek. Thanks for peeking, Merry! Feliz Navidad! 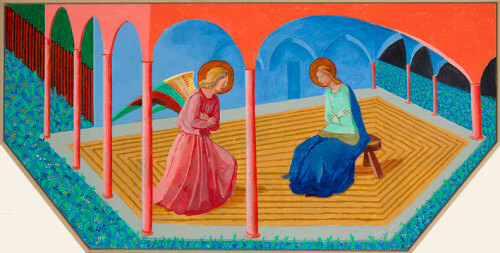 Hi Kirby….love your art Blog….thanks for sending…interesting how Hckney was influenced…..
Yes…Hockney never forgot his experience with Fra Angelico’s “Annunciation.” David Hockney has a major retrospective exhibition going on now at the Met in NYC. Thanks for writing, Kate! How wonderful to see how beautifully preserved the fresco in the convent is! Or maybe it’s restored? But it is a beauty! Yes, Margo, it is remarkable that it is in such good condition. It is outside too!….but in a corridor with an deep overhang. Thank you, for following my blog. I always enjoy your comments! Merry Christmas! Thank you, Kirby. I learned so much from this posting and it is a great holiday gift to the community. Thank you Susan for reading my art blog and your encouragement. Our community is a wonderful gift, is it not? 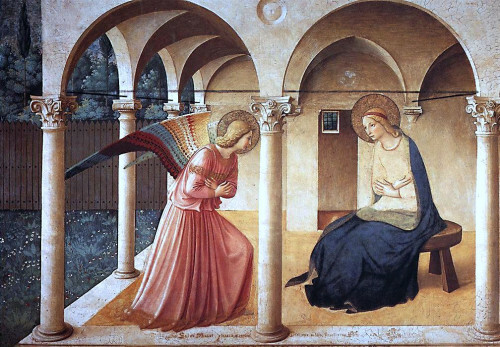 I love the blog, so appropriate for this Season and so informative about The Annunciation. It’s wonderful to see all the wildly different interpretaions from different artists of this “wonderous event”! Thanks for the images and video, and for educating us about how this event has surfaced again and again throughout the centuries through art. 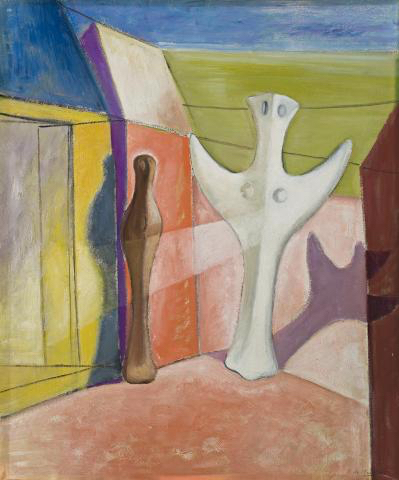 Your love of art and spirit shines through! “Wild” is a good way to describe this wondrous art! It makes me very happy to share the love of art! Thank you Kirby for sharing with us the truly amazing world of painting. I am blessed to have met you all those Graham Nickson Painting Marathons ago! You continue to inspire me! I am very grateful to share this amazing world of painting with you also, Tina! Thank you for following my art blog. I just love your blogs. Thanks so much for starting up again. Thank you, Alexandra! Your new work is awesome! Always professional, interesting and educational. Every Good Wish for a Merry Christmas Season! Hey Lou, It is always a pleasure for me when you read and comment on my art blog. I research a ton so to make the piece as accurate and interesting as possible. Thanks and Merry Christmas to you! As always, your postings are just so interesting and timely. Thank you and Feliz Navidad!